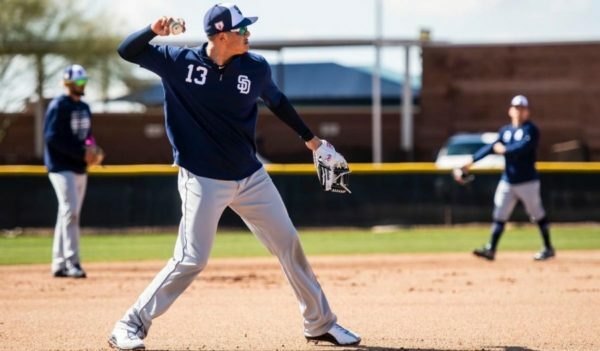 Last year, San Diego Padres third baseman Manny Machado shrugged off baseball’s golden rule, stomping on the achilles heel of baseball’s heralded “unwritten rules.” An air of negativity has lingered around Machado ever since for not conforming to the game’s customs, and baseball refuses to forgive him. 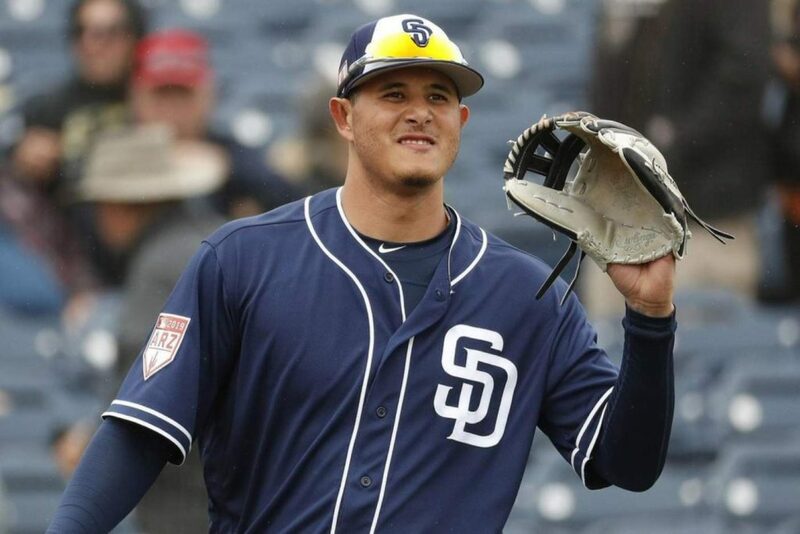 In what appeared to be a run-of-the-mill matchup between the Padres and Arizona Diamondbacks last week, Machado hit a weak pop-up to the catcher, set his bat down, and ran to first base. Little did Manny, or anyone else, expect home plate umpire Bill Welke to call Machado out based on interference, a ruling which saw Padres manager Andy Green emerge from the dugout unenthused. As the replays rolled and the announcers announced, FOX Sports Arizona’s Bob Brenly took exception to Machado’s bat placement tactics. 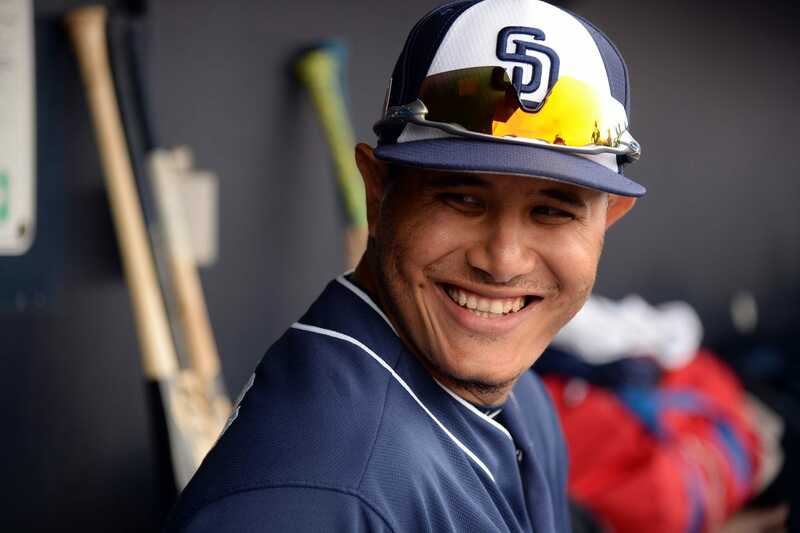 “Machado, one day, is gonna pull one of his hijinks on the wrong guy and he’s gonna get dropped in his tracks, and he’s gonna deserve it,” said Brenly. Brenly’s anger was met with enthusiasm from broadcasting partner Steve Berthiaume. “300 million dollars!” Berthiaume disgustedly exclaimed as the dynamic duo would continue to rant while Andy Green expressed his frustration to home plate umpire Bill Welke. “It’s bush league,” said Bethuime as Welke ejects Green from the game. Brenly and Berthiaume’s hyperbolic reactions to the innocent placement of Machado’s bat served as a clear reminder that baseball did not forget about Machado’s controversial antics last postseason. During last year’s NLCS, Machado was thrust into the national spotlight after it appeared as though he purposefully stepped on the heel of Brewers’ first baseman, Jesus Aguilar. Benches would clear, and commentary would ensue. What’s more is that a few days before the Aguilar incident, Machado spoke with Ken Rosenthal about criticisms for lack of hustle. Machado shattered the perceived reality that every single player runs out every single play, garnering a reaction comparable to that of telling a room full of kindergarteners that there is no Easter Bunny. To those with baseball’s unwritten rules hanging in invisible ink above their fireplace, these comments were taken as if Machado had committed a heinous crime. Machado’s antics from last postseason remain entirely in the minds of his critics. However, this reveals the more substantial problem across baseball culture; The heralding of figures we deem to be appropriate representatives of our game, and the ostracization of players who do not fit this mold. For instance, in Bryce Harper’s return to Washington D.C. last week, Harper responded to seven solid innings of chirping from the boo-birds by smashing a mammoth home run to right field. As Harper watched the ball sail into the stratosphere, he flipped his bat up in celebration and began his home run trot. While Nationals’ fans saw this bat flip as an act of disrespect, prominent MLB figures applauded the bat flip as bringing flair and excitement to the game. The fine line which determines a bat flip as either an acceptable spontaneous outward expression of an inward emotion, or a calculated attempt to place an insurmountable amount of disrespect upon the opposing pitcher, is a cultural line drawn by an American era which deemed nicknames such as “Dizzy” Dean and Mordecai “Three-Finger” Brown as usual. With his slicked black hair, gold chains, and stocky swagger, Machado is a first generation Dominican-American who grew up playing baseball in Miami – An image of America’s pastime far removed from handlebar mustaches and suffocating wool uniforms. With an upbringing comprised of beaches, habichuelas, and hitting dingers, Latin passion is understandably ingrained in the way Machado plays the game. The diamond is a place where emotions run high. A place where bat flips and fist pumps are encouraged rather than chastised. A place that doesn’t use stoicism as a means to suffocate. In a baseball culture which heralds the archaic, Berthiaume and Brenly are only exacerbating the problem: Machado isn’t the villain, he’s the victim. Brenly has since criticized Fernando Tatis jr. for wearing a “bicycle chain” necklace. He gets back from his booth partner every time. I’m old enough to remember when Brenly was Arizona’s manager, and he criticized Padres catcher Ben Davis for bunting for a hit to break up a no-hitter. I suspect Brenly has an animosity not for the players but for the Padres in general. That wouldn’t explain his booth mate joining in, unless it’s possibly an attempt to create a rivalry between the D’backs and Padres. Brenly has been associated with Arizona’s management for a long time, and I have to wonder if the Arizona front office or ownership is pushing it. There might be envy involved. I recall Arizona general partner Ken Hendrick following the Padres’ practice of donating little league uniforms – and then claiming the Diamondbacks were first! Whether it’s ownership or just the front office, I think there’s more to the stream of criticism from Brenly than just his personal opinion alone.